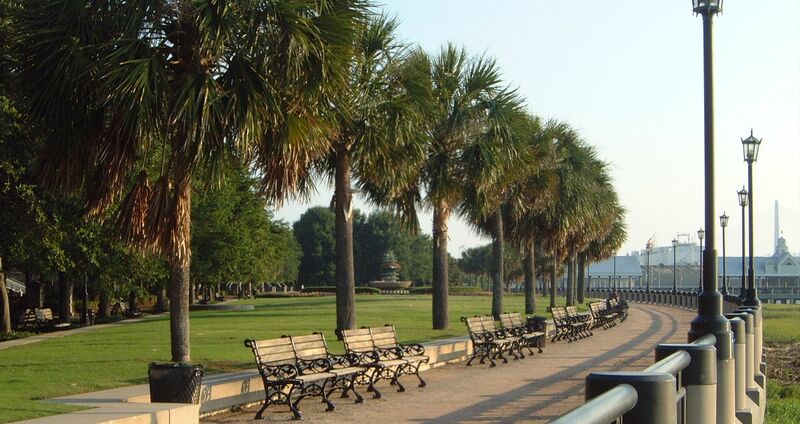 The Battery is a landmark promenade in Charleston. Stretching along the shores of the Charleston peninsula and bordered by the Ashley and Cooper Rivers. Enormous oak trees provide serene shade to the park, and a display of weapons and cannons used in the Civil War make for a unique play area for children — be sure to bring a camera to snap photos of your family clamoring and playing on the cannons! Inside Battery Park is White Point Gardens. 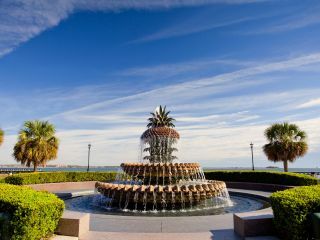 This peaceful park offers unprecedented views of Charleston Harbor and Fort Sumter, while a look back across the street promises fantastic images of beautiful Charleston mansions. Weddings and other special events are frequently held at the beautiful, massive white gazebo in the center of the park, but on off-days it makes for a beautiful place to sit and take in the beauty and charm of Charleston! Take a ferry boat to the Fort Sumter National Monument, where the Civil War began. 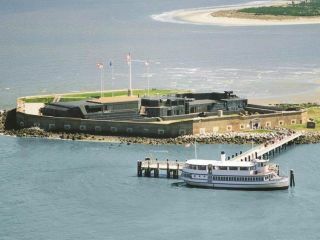 As you cruise to the island fort you’ll enjoy breathtaking views of Charleston and her Harbor. Boats depart from the Visitor Education Facility at Liberty Square downtown and from Patriots Point in Mt. Pleasant. 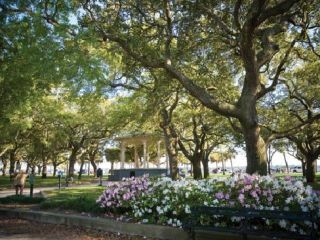 This park is an eight-acre park and pier along the Charleston Harbor entry. The park masterfully combines spectacular fountains, spacious lawns, intimate garden “rooms,” walking and jogging path and a long pier with picnic tables and wooden swings.